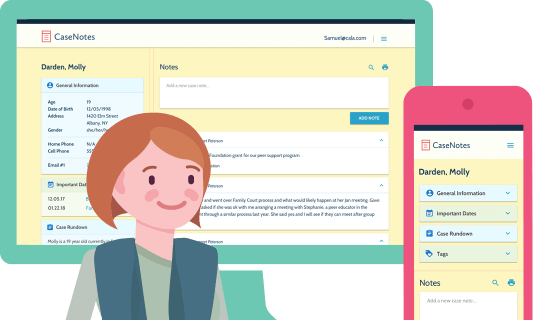 Want a simple, affordable, and secure way to take notes on the people you work with? Of course you do! That's why we created CaseNotes. Our familiar, friendly interface familiar, puts users at ease and you'll be using the platform in minutes. Lauren's non-techie mom approved! 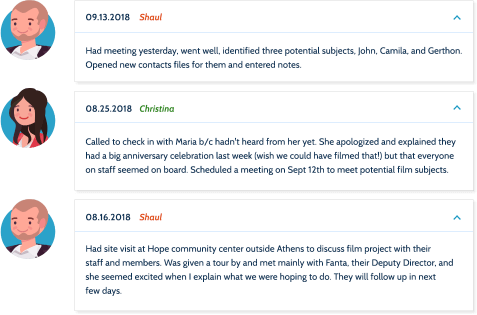 Our focus is searchable, sortable, easy to read narrative notes , so you can keep track of conversations, meetings, and appointments with all your humans. 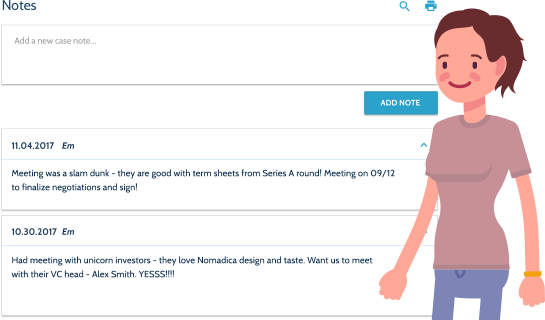 Our narrative platform allows you to share information across teams so you know who took the note and when! 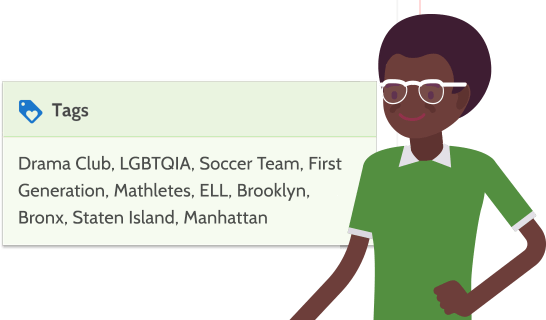 Our side bar keeps must-have info front and center and our sticky notes never fall off! 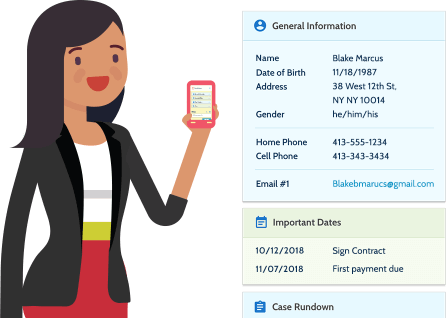 Finally, our customizable tag based system means YOU decide what you want to track, making sorting cases for reporting and analysis a breeze. 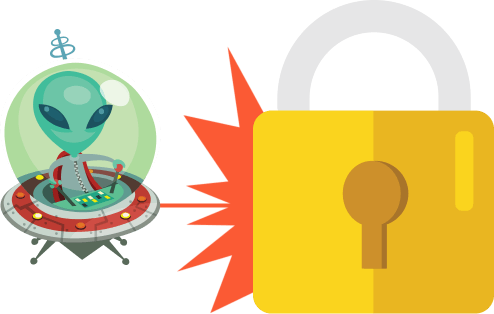 We use HIPPA compliant servers, two-sided encryption models, periodic security audits and more to ensure your information is private, secure, and for your team's eyes only.